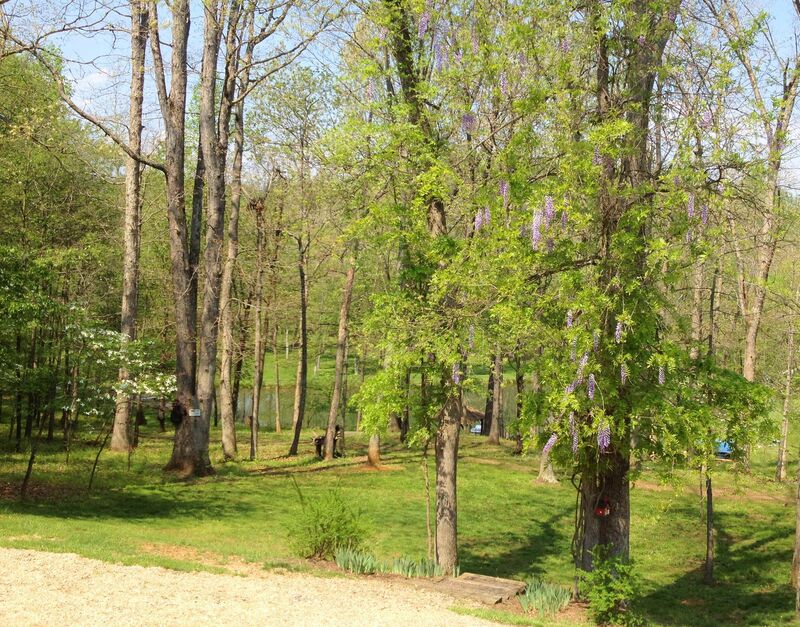 17 years ago, this month, we bought a wisteria vine and planted it next to a tree in front of the house. Year after year we waited for it to bloom. Year after year Tim vowed to trim it back. Year after year, I defended the vine and told Tim to be patient. This year, when the threats started again, I caved. Just last week, Tim said he was tired of the vine and wanted to get rid of it. It was never going to bloom and it was all the way to the top of the tree. I said I was tired of his complaining, and he could do whatever he wanted. I only requested that he cut it before it fully leafed out so we didn’t end up with ugly, dead vine hanging on the tree all summer. And Voila! The next day, the wisteria bloomed for the first time ever. Stay of execution.